Teachers should pre-teach the position of possessive adjectives in a sentence and explain that they always come before a noun.Students should then fill in the blanks using an appropriate possessive adjective each time.Students or teachers could also ask questions such as:"Whose is this dog? "and provide the answers. The present downloadable teaching material is a great resource for elementary school students at Beginner (pre-A1) and Elementary (A1) level. 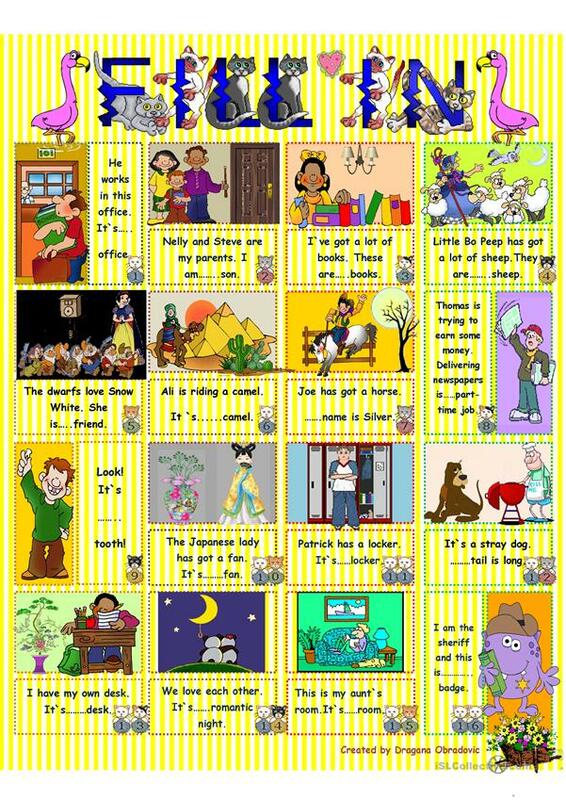 It is great for teaching Adjectives in English, and was designed for working on your class' Speaking and Writing skills. It features the theme of Jobs, work.